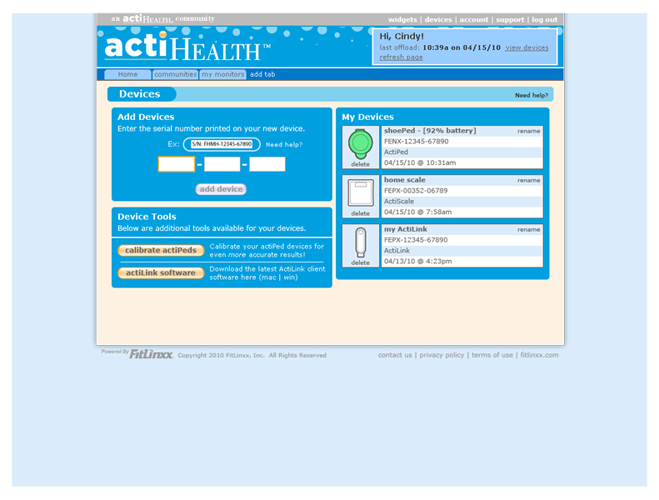 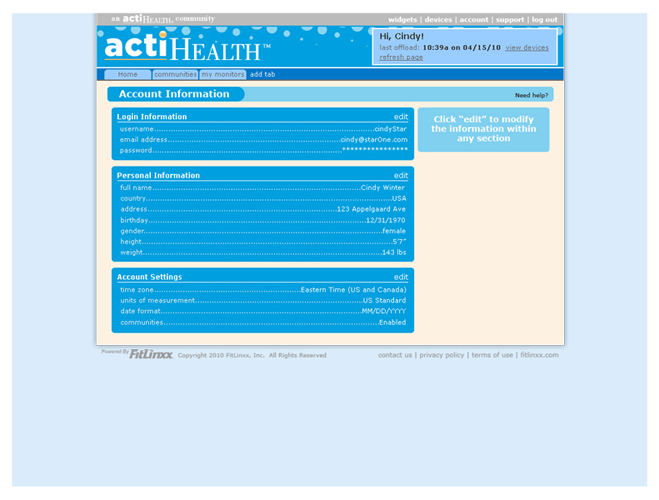 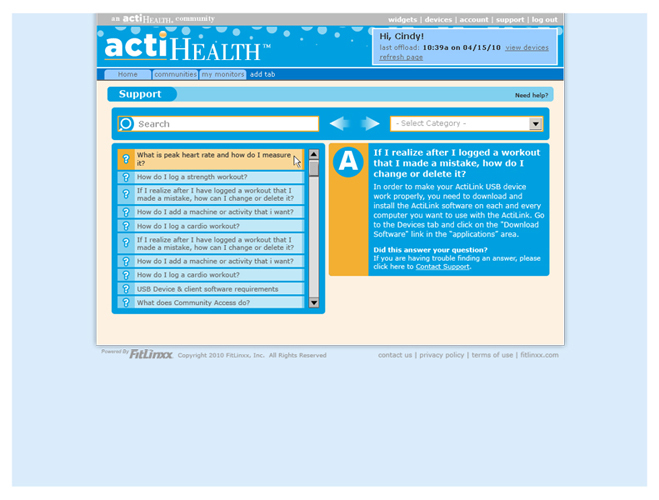 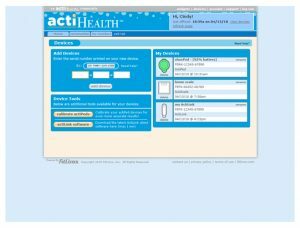 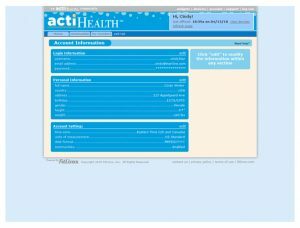 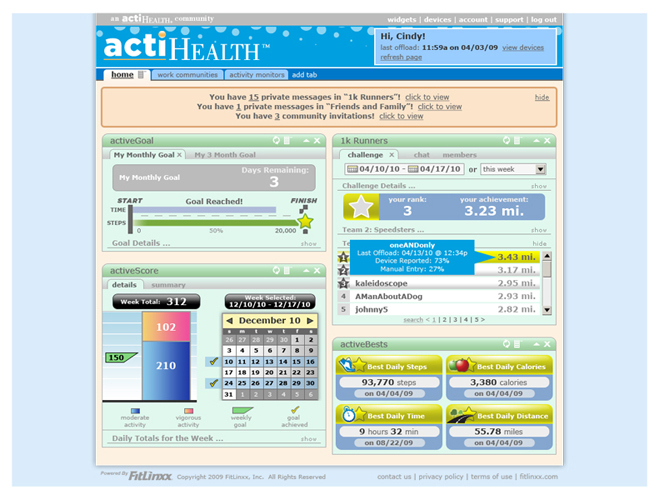 ActiHealth.com was created by FitLinxx as the first consumer-friendly activity and health tracking website. 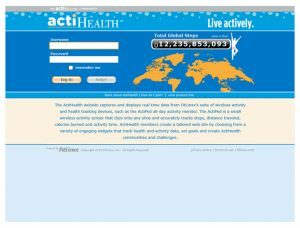 While previous versions had been created for use as a sales tool, the new version of ActiHealth is a complete solution with a fully updated user experience. 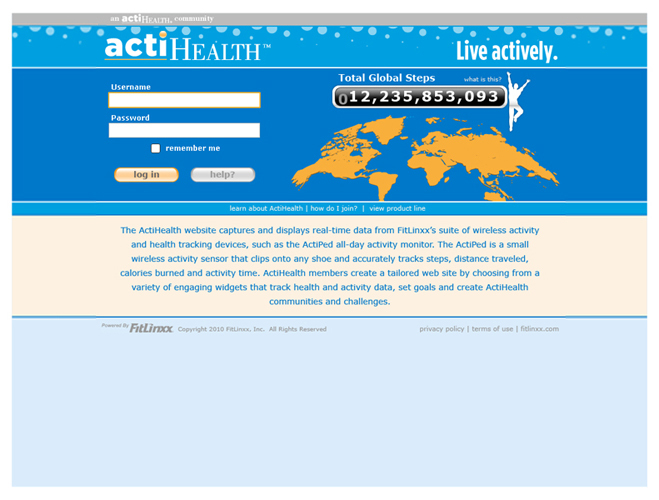 The site is customizable for partners with a growing set of widgets and support for social communities and challenges. 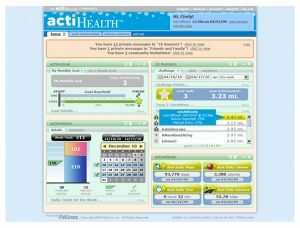 The web application is controlled and customized by their custom Customer Relationship Management tool.